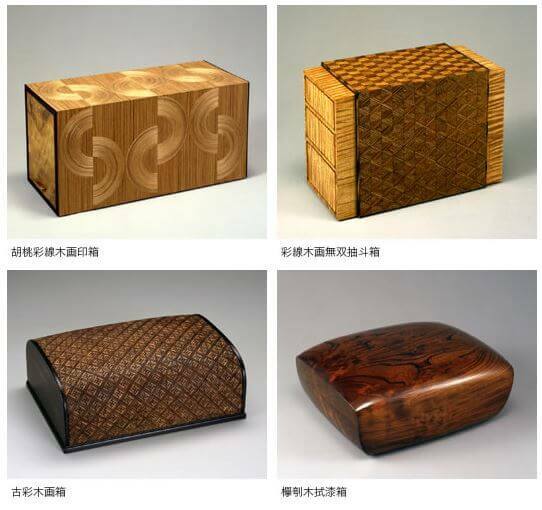 The Edo Woodworks are a traditional craft of furniture. They are made without nails and tacks, just combining wood parts that are processed elaborately by chisels. Although Edo woodworks don’t have too much decorations, they have painted only with Urushi lacquer in order to utilize original wood texture. Therefore, owners can enjoy delicate and graceful taste of the woodworks. 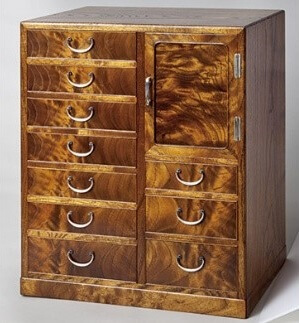 In addition, Edo woodworks are durable enough to use tens of years because they are made simply just from wood parts only; there are no parts to be deteriorated over time such as nails, tacks and glue. 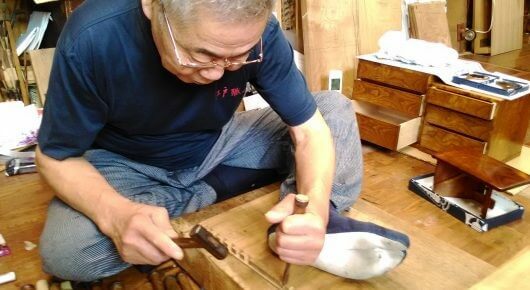 Because of their durability and practicability, Edo woodworks have used regularly by Samurai, merchants, actors and celebrities. 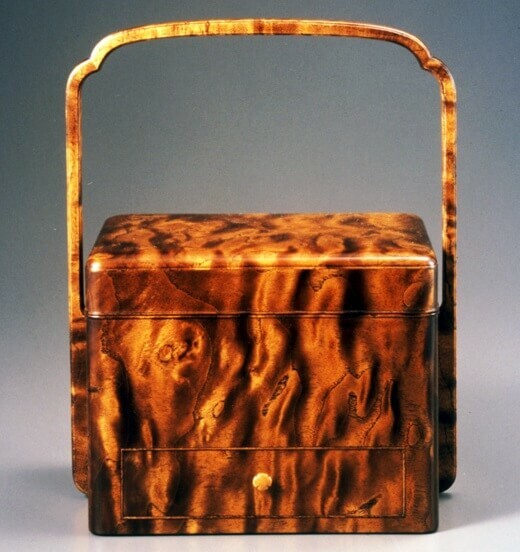 Edo woodworks, made without any nails and tacks, requires sophisticated skills to craftsmen. Products by experienced craftsmen seems to have no joint, because they finish joint parts elaborately with their skills. 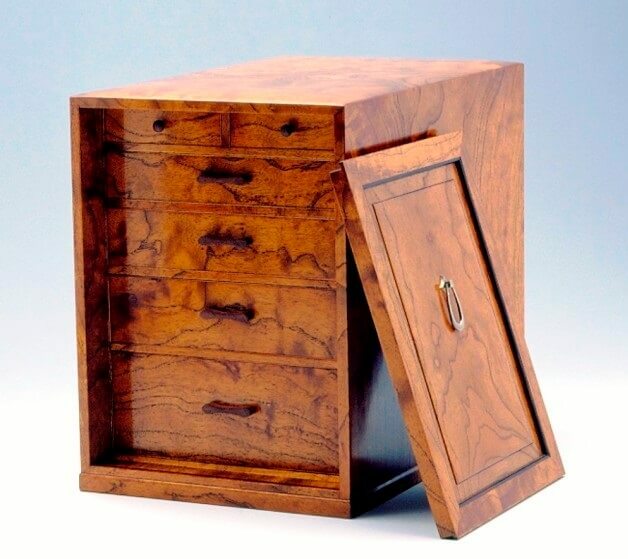 Those beautiful woodworks can be excellent interior objects as well as practical furniture. Factories Are Open to Public! You Can Also Experience! Actually, Iwatsuki area is located in suburb of Tokyo, and even today the area is a main producing center of many kinds of Japanese dolls: Hina dolls, Musha (Samurai) dolls, dancing dolls, Kimekomi dolls, etc. etc. It is very rare case that this many kinds of dolls are made in single producing center. In this post, I’ll introduce doll-related “must see” events held in the city of dolls. 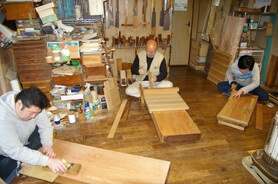 This factory do all making process of Edo woodworks from beginning to the end. They also provide order made items. They choose appropriate materials that suit customer’s interior and conditions. So, their products fit naturally in customer’s lifestyle. When you visit them, you can feel strong obsessions of their craftsmanship by looking at more than 100 kinds of shavers and planers. 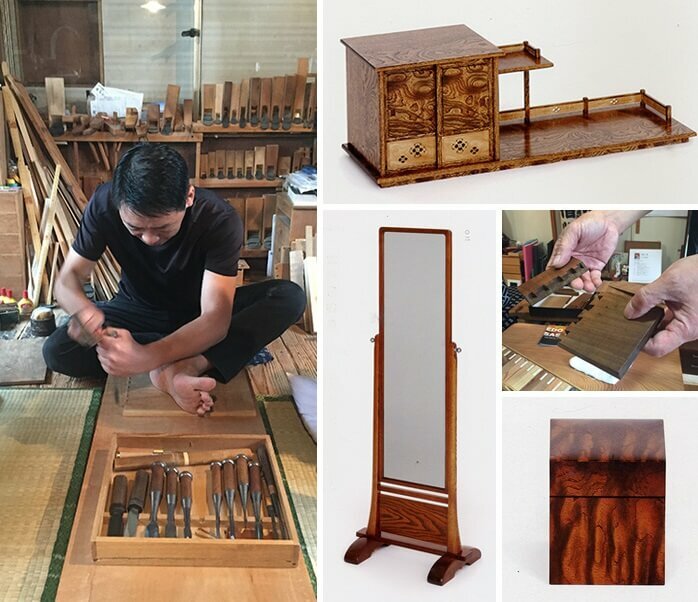 Craftsman Kimura accept orders of drawers, mirrors and family Buddhist altar. He also accept some specific orders; a customer in Kyoto ordered folding chairs, for example. Customers visit even from outside Japan hearing his excellent techniques. His craftsmanship often make customers surprise.